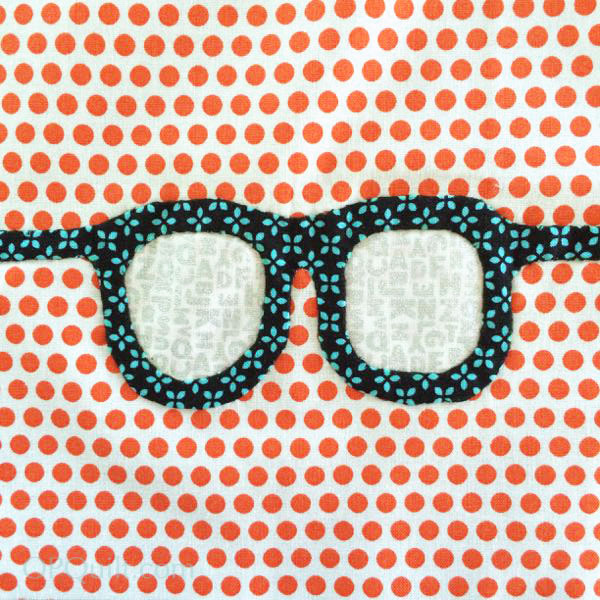 Posted on November 7, 2018 by Elizabeth E.
Last week I had the chance to head over to Los Angeles, and speak at the Valley Modern Quilt Guild, held at HighTech LA, a very cool building (with great gates). They had these signs all over the school, which I think is a good motto for retreats and workshops, right? The place we met was one of those classrooms that can be changed around to suit the needs of those using it, and it was a good space for giving a talk: well lit, comfortable with a good microphone. I stayed until the end of their Guild, as I was curious to see what they were working on. I especially liked their Challenge for that month: Curves. Saturday, I headed back to teach a workshop for them at a local high school; the workshop was held in the costume department of the high school, and the teacher worked on costumes for an upcoming production while we used her room. First up, a little show and tell. The woman holding the quilt is the principal of the school, and I’m happy to be in her company, along with the other fine members of this guild. As soon as we finished the center block, it was photo time. I love how some centers come forward and some recede. Such a creative group! I didn’t do a very good job on taking a picture of the group, but there might be more on their Guild Website. They decided on the Two-For-One class: a quilt in the morning, and free-motion quilting in the afternoon. 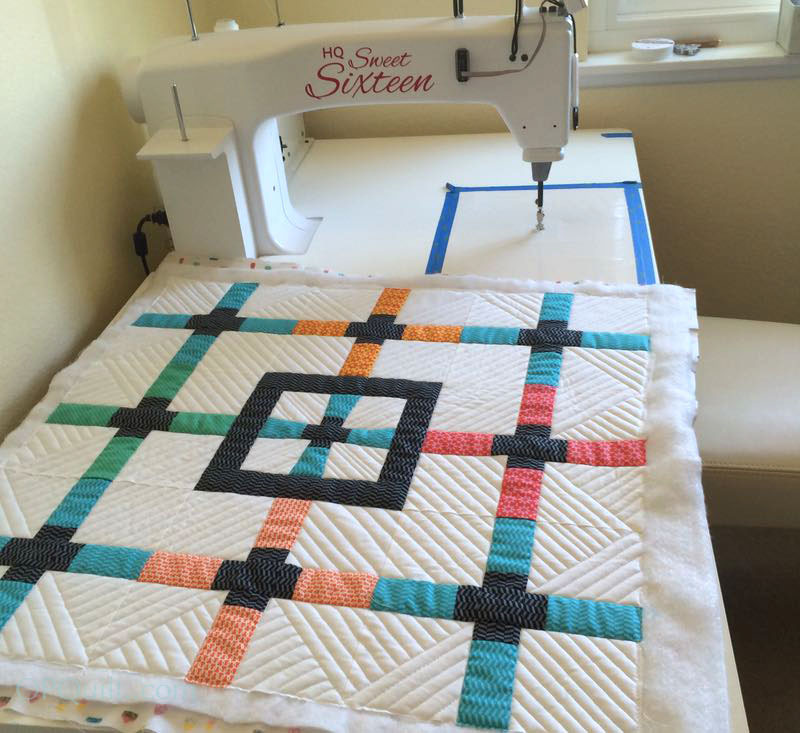 Thank you, Valley Modern Quilt Guild–I had a great time! And in other news… It is the ONLY reason I did an update on my iPhone this early. Usually I wait a while until they get the bugs out, but I couldn’t resist. They also have a ball of yarn, if you are interested in that. And I finished my November Gridsters Bee blocks early this month and am sending them off to Allison of Quilt Studio 62, who is our Queen Bee this month. In addition, I’ve had a question or two about what paper I use in the foundation paper piecing I did for the recent Crazy Cushion Class. I recently purchased a ream of paper from them (after 10 years of using the first one), so I took some photos in the store. It’s a vellum from Neenah. I updated this post, where you can find more information. Don’t know what to do with all those real “decorator” pumpkins you buy for fall? A recipe for Stuffed Pumpkin is a good way to enjoy them one more time. The year we lived in Alexandria, Virginia I brought home handfuls of leaves from my walks and scanned them for the future. I love looking at them at this time of year, as we here in Southern California don’t have fall color like this. 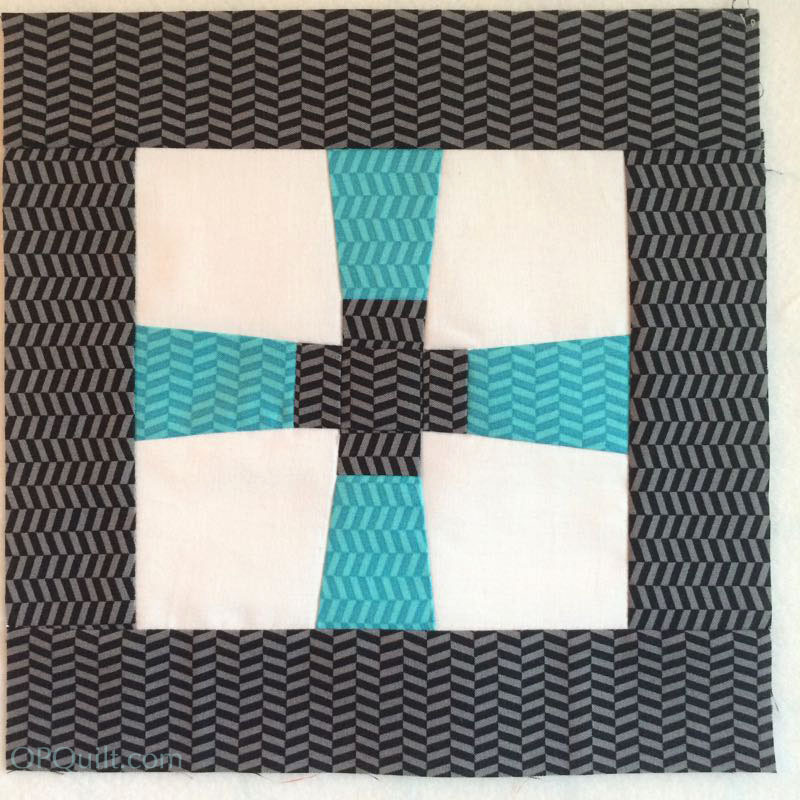 Posted on June 5, 2018 by Elizabeth E.
…to make up another sample for a class I’m teaching in August, for the South Bay Quilters in Torrance, California. I’m really excited to head out there to the coast in the middle of August, and to spend some time with their guild. The smaller version is 27.5″ and the larger is 36″ square. 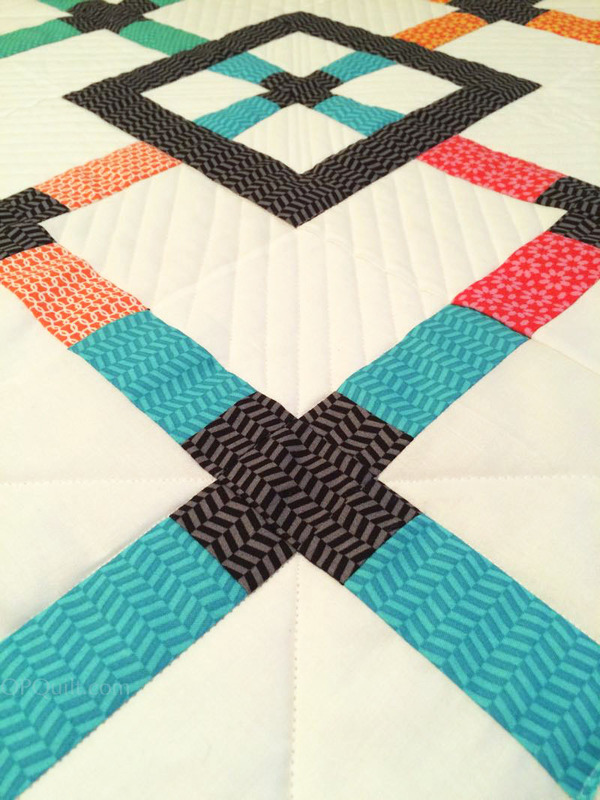 We’d switched up our classes to this one, which is a Two-for-One class: a quilting/making component in the morning, and a free-motion primer in the afternoon. 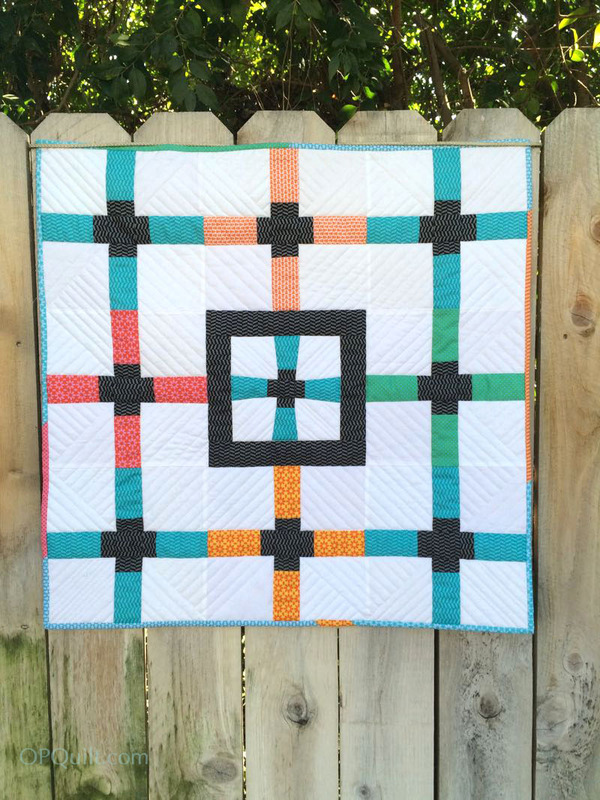 Sky Rocket, using just eight colors to make up into a bold, punchy mini-quilt. I love meeting new quilters, having a chance to talk to people, and later on, sitting in a room full of quilters intent on their projects, their sewing machines humming along. Can’t wait! Posted on July 5, 2016 by Elizabeth E.
This post is the story of two creatives, well, maybe three. 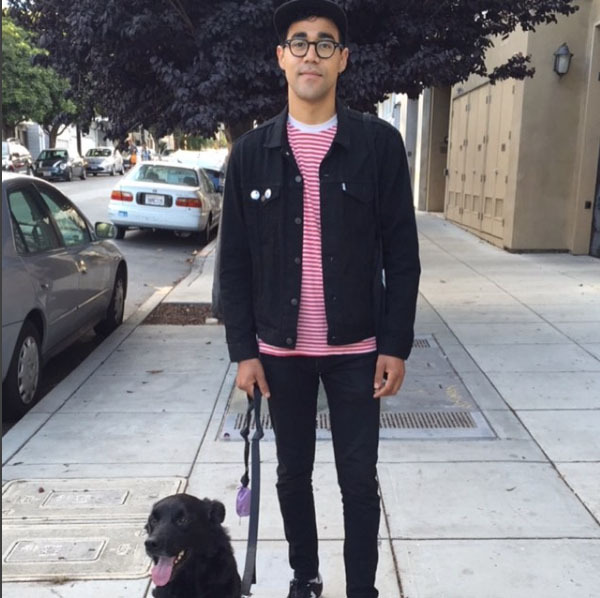 One is an artist living and working in Los Angeles. That’s Kevin Umaña, up there. 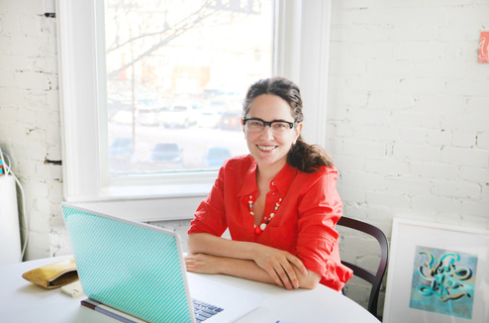 Another is Janine Vangool, a graphic artist and editor-in-chief of Uppercase Magazine in Canada, who recently released a line of fabric through Windham Fabrics (photo of Janine from *here*). And then there’s me, but you know what I look like. 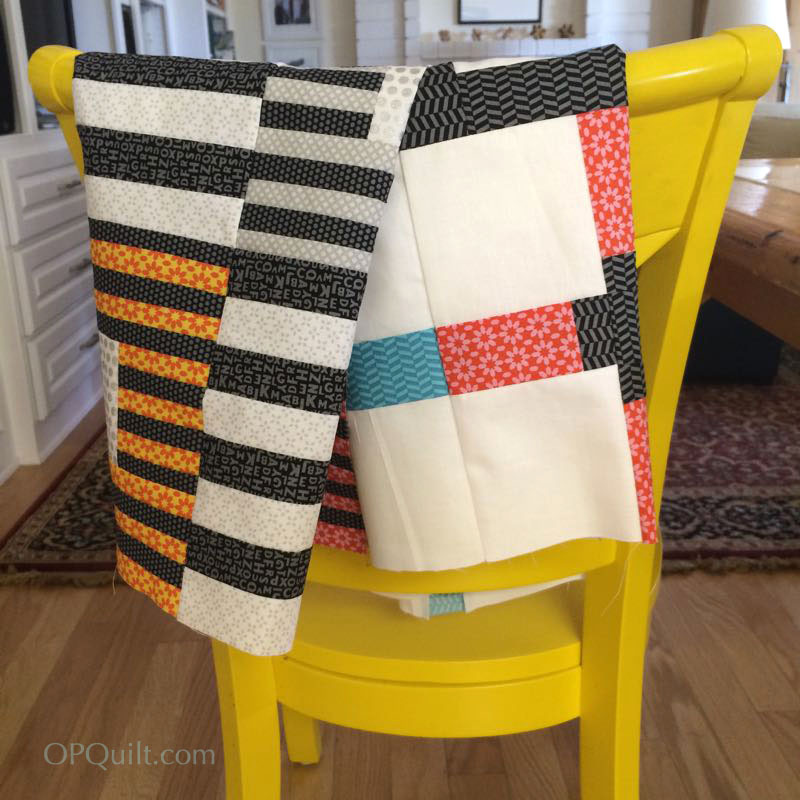 And it’s also the tale of two quilts and a quilt block (which is at the end, by the giveaway from Uppercase and Janine, so keep reading). I had sort of been in a creative slump, slightly burned out, not really knowing what to do next besides bee blocks and the Same Old. 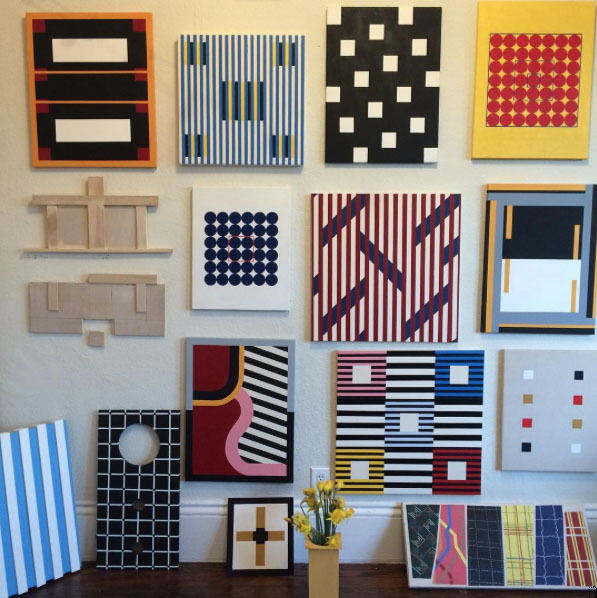 Idly scrolling through Kevin’s feed one afternoon, I found a few designs that interested me; he and I began to correspond, and then collaborate. No matter what I wrote, it sounded trite and useless and idiotic and banal and cliched, and believe I re-wrote the answer to that question about 50 times. I felt dead in the water. (I’m sure Kevin wondered what happened to me.) It was like coming up to a mirror and instead of seeing a reflection of my image, it was like seeing past me into an empty sewing room, forty million quilts stacked to the ceiling, but they were all somebody else’s vision or creation or idea. Nothing unique anywhere. That question rattled around in my head while on a trip with my husband, and where it rained nearly every day, giving me lots of time to think. I slowly reviewed all the quilts I had pictures for while sitting in my hotel room, wondering; do we all make the same quilt, over and over? 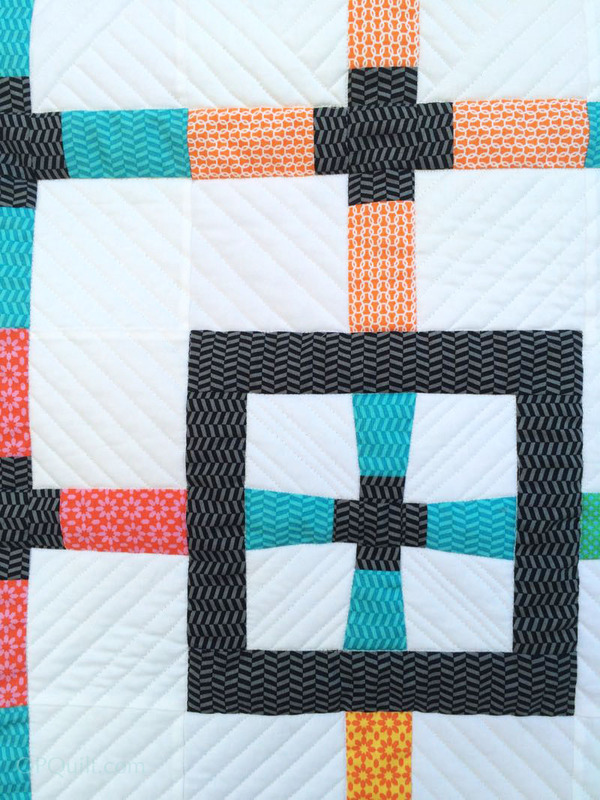 Not our own same quilt, but the One of the Moment, currently seen on everyone’s Instagram feed, or splashed all over the quilty magazines? Where was my unique? 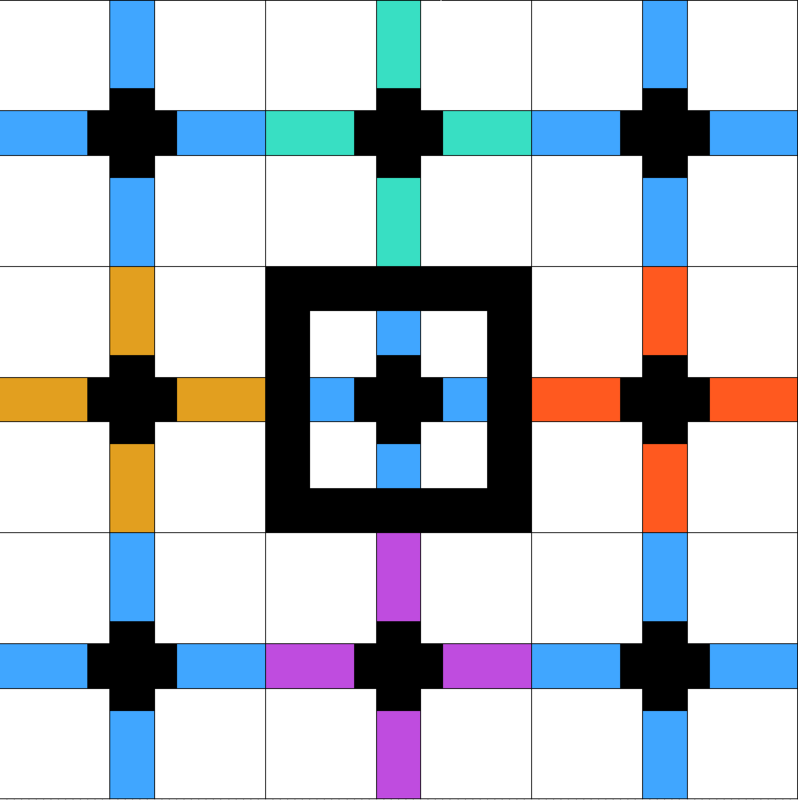 If someone saw one of my quilts, would they say, “Oh, yes–that’s Elizabeth’s!” And if I really had a unique, what was it? What did it look like? How could I tell it from someone else’s? And in my more cynical moments, I’d say, “Well who cares, if it’s unique? Doesn’t matter enough that I’m a maker, that I express myself with cloth and sewing and cutting and stitching?” Really helpful, right? Back home, I began looking at Kevin’s designs again. In college we were encouraged to do “imitations” of writers, using their form in order to get the meter and the words under our creative nails, as a way of training up a writer. It was a form of limiting, giving us structure, but not letting us off the rails, so to speak. So I decided to allow Kevin’s form to give me structure. And I chose to limit my fabrics to a (delightful) bundle of Janine’s Uppercase fabrics, which I’d purchased at Market. 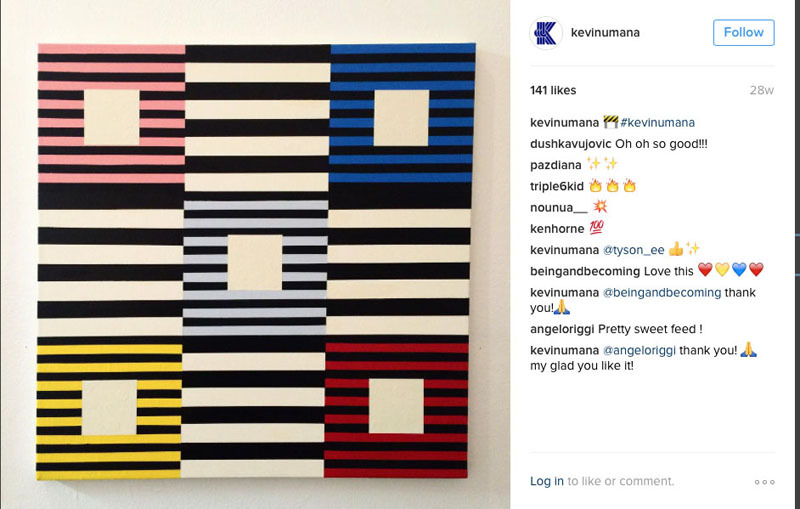 The first experiment (above) with Kevin’s work was almost an exact copy. But the second quilt took off on its own. Somewhere in here, the experiment sparked an original idea. 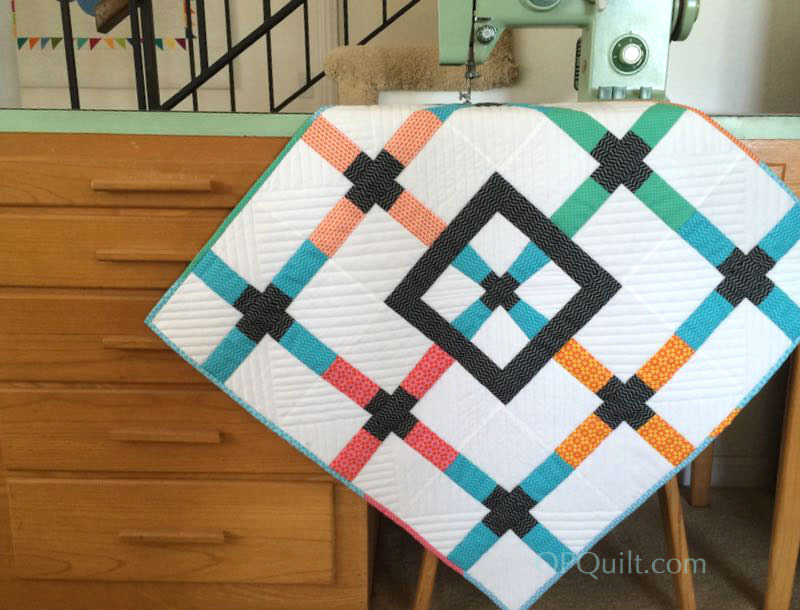 And when I quilted, I kept seeing more. 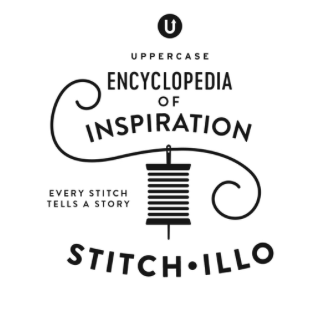 I won’t tell you what I wrote for Uppercase, because in a way, it’s really irrelevant to the idea of this particular story. What resonates is that challenge laid down in those words of the application, one that I think about to this day. I’m incredibly grateful to Kevin for allowing me to collaborate with him, and to borrow a little from his light when I needed it. I’m also grateful to creatives who make fabrics for me to use, such as the excellent line shown in this post. 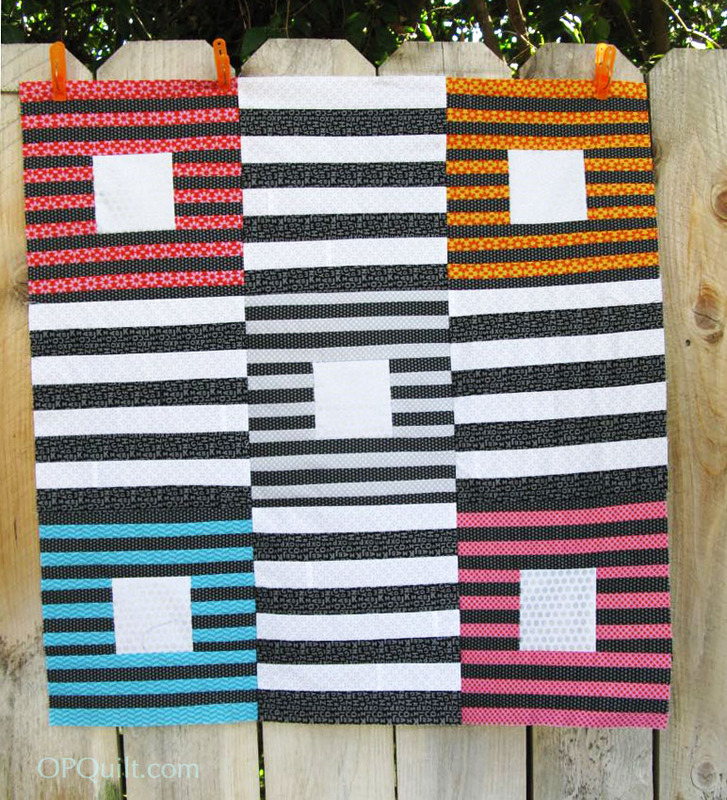 All fabrics, with the exception of the solid white, are from Janine Vangool’s Uppercase Fabrics line. Yes, even the wee metallic letters in the sunglasses below, an echo of Kevin’s at the top of the post. And finally, the cheesy way to close out a conundrum: let somebody else do the talking for you. When I saw Janine at Quilt Market, her booth was handing out free Uppercase Magazines. Since I’ve been a subscriber for several years, I mentioned to Janine that with the free magazine I could instead do a Giveaway on my blog, and she handed me another magazine, her fabric catalogue and the charm pack of her fabrics to sweeten the pot. To enter, please leave a comment. 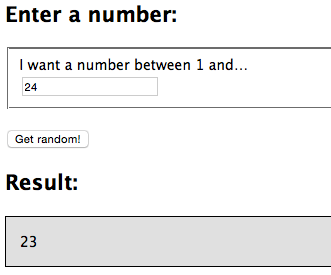 Blog followers get double their chances (shameless promotion), but it’s not necessary to follow to win. NOTE: Giveaway now closed. Thanks to all who entered. 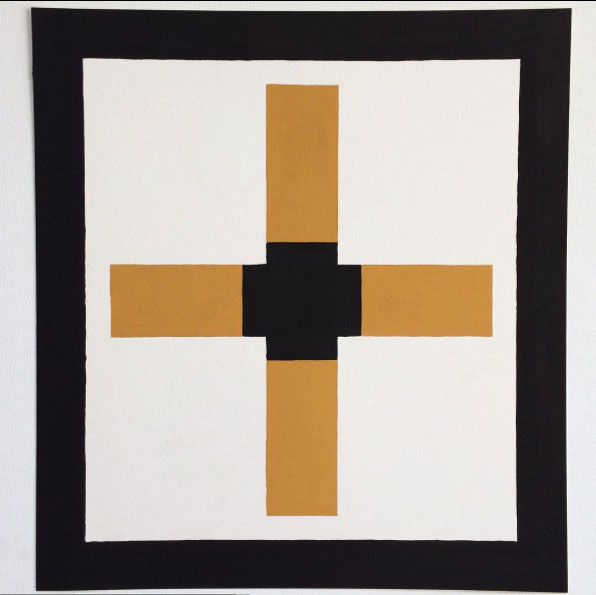 …congratulations to the winner of the Dresden Carnival book, Beth T, who wrote about making a squared Dresden plate block for her niece’s quilt. I’ve sent you an email and I’ll get that off to you this week. Thank you to all who entered. You have lovely Dresden Plate Memories!